The Survey’s Arkadelphia research station is on the campus of Henderson State University. The station is responsible for archeological resources in nine counties of southwestern Arkansas. This area is dominated by the Ouachita Mountains, but extends across parts of the Little Missouri, Middle Ouachita, and Middle Saline river basins in the Gulf Coastal Plain. 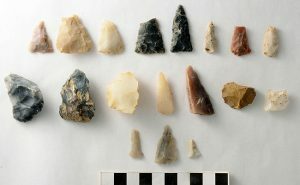 Ouachita Mountains novaculite, quarried by American Indians for toolmaking and trade for thousands of years and mined extensively as “Arkansas whetstone” in the 19th century, is a resource that affected early settlement and land use in the uplands. In the river basins, salt-making was an industry pursued by Caddo Indians and later by settlers. Both activities are represented by important archeological sites in the HSU research station area. 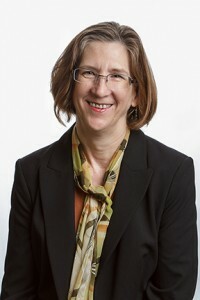 Mary Beth Trubitt (Ph.D., Northwestern University, 1996) is Station Archeologist at the Survey’s research station in Arkadelphia, and Research Professor of Anthropology at the University of Arkansas-Fayetteville. She teaches anthropology courses in the Department of Sociology, Human Services, and Criminal Justice at Henderson State University. Trubitt joined the Survey in 2000. She has previous field experience in the United States and Belize, including work in southern Arkansas in the 1980s and at the Cahokia site in Illinois in the 1990s. 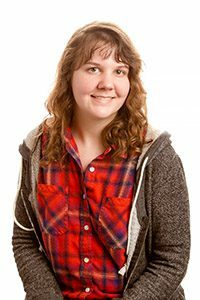 Her research focuses on ancient technologies, including marine shell, stone tool making, and ceramics, on exchange systems, on households and community patterning, and on complex Native American societies in eastern North America. Chelsea Cinotto (M.A., University of Reading) joined us as Station Assistant in February 2017. Chelsea earned a B.A. in anthropology from the University of Oklahoma and an M.A. in archaeology from University of Reading (England). She has experience working for the Oklahoma Archeological Survey, the National Cowboy & Western Heritage Museum, and Sam Noble Oklahoma Museum of Natural History. Chelsea works with students and volunteers during our weekly lab days, and assists in on-going research at the station. Research, Preservation, Communication: Honoring Thomas J. Green on his Retirement from the Arkansas Archeological Survey, edited by Mary Beth Trubitt, was published as RS67 in 2016. Chapters in the book cover current research within and beyond Arkansas, with an emphasis on themes of historic preservation, working with descendant groups, and relating archeological research to public audiences. Analysis, interpretation, and publication continues on a collaborative project that brought together the Survey’s HSU Research Station, the Ouachita National Forest, and the Arkansas Archeological Society. This project uses the archeological evidence of architecture, foodways, and material culture to investigate social identity and communities in the Ouachita Mountains between about 6000 B.C. and 1650 A.D.
Research on Arkansas Novaculite – from quarries to tool production locales to the exchange of raw material or tools beyond the Ouachita Mountain sources – has led to the new website, “Arkansas Novaculite: A Virtual Comparative Collection.” This project was supported in part by a grant from the Arkansas Humanities Council and the National Endowment for the Humanities. 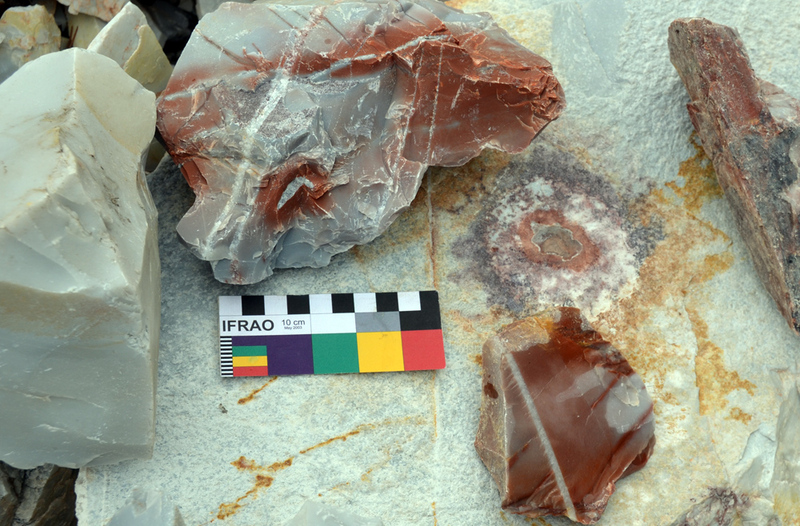 In 2016, the Survey’s HSU Research Station advised Hot Springs National Park to avoid impacts to an important novaculite quarry in the park and documented additional quarry features at the site in the process. The Arkansas Archeological Survey did a small geophysical survey and test excavations at an archeological site in the Middle Ouachita River valley in 2015-2016. This location has been damaged by trespassers, and the project was designed to assist ongoing preservation efforts by the property owners. Trubitt teaches anthropology courses in HSU’s Department of Sociology, Human Services, and Criminal Justice. Students at Henderson State University can take anthropology and archeology courses that can be applied to an anthropology minor. Trubitt has mentored students pursuing graduate degrees at both HSU and UAF. Research Station personnel continue to document Caddo pottery from the Joint Educational Consortium’s Hodges Collection, assisted by HSU students and Arkansas Archeological Society volunteers. This major collection of American Indian artifacts was assembled by Thomas and Charlotte Hodges in the 1930s-1940s, mainly from sites in Clark and Hot Spring counties, and is curated at HSU. There are small exhibits from this collection at four locations in Arkadelphia. New articles were published about this documentation project in Caddo Archeology Journal in 2015 and 2017. Trubitt and Cinotto work closely with members of the Ouachita Chapter of the Arkansas Archeological Society. The Ouachita Chapter meets monthly (except June) on the second Tuesday of the month at 7 p.m., in Hot Springs. 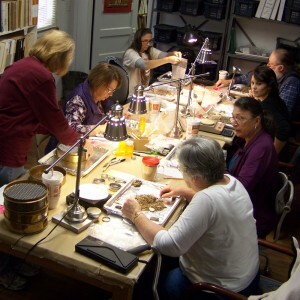 Society volunteers contribute to on-going archeological research in the field and in the lab. The Survey’s HSU Research Station hosts Archeology Lab Days most Thursdays in Huneycutt House (1042 Haddock St.) on the HSU campus in Arkadelphia. HSU Research Station archeologists continue to work with cemetery association members to preserve and protect these historic places. Trubitt has served as a humanities scholar on several community groups working on Arkansas Humanities Council cemetery preservation grants, including one at Helms Cemetery. Download a brochure on cemetery preservation or visit our Cemetery Preservation page for more information. Mary Beth Trubitt is editor-elect for Southeastern Archaeology, the official journal of the Southeastern Archaeological Conference, and will serve as editor from 2018-2020. 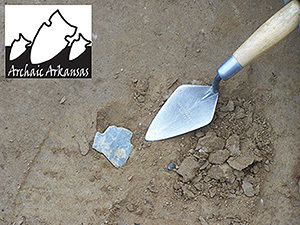 A new website from the Arkansas Archeological Survey, “Arkansas Novaculite: A Virtual Comparative Collection,” is available at arkarcheology.uark.edu/novaculite. Trubitt, Mary Beth (2014) “Arkansas Novaculite: Whetstones and More.” Reflections (Arkansas Humanities Council newsletter) 38(2):14-15. Etchieson, Meeks and Mary Beth Trubitt (2013) “Taking it to the River: Arkansas Novaculite Quarrying and Archaic Period Tool Production.” North American Archaeologist 34(4):387-407. Trubitt, Mary Beth D., Anne S. Dowd, and Meeks Etchieson (2013) “Multiscalar Analysis of Quarries.” The Quarry (e-newsletter of the SAA’s Prehistoric Quarries & Early Mines Interest Group) 10:30-43. Trubitt, Mary Beth, Kathryn Parker, and Lucretia Kelly (2011) “Reconstructing Ancient Foodways at the Jones Mill Site (3HS28), Hot Spring County, Arkansas.” Caddo Archeology Journal 21:43-70. Trubitt, Mary Beth (2011) “Ancient Indian Foodways: A View from the Jones Mill Archeological Site.” The Record (Journal of the Garland County Historical Society) 52:127-137. Trubitt, Mary Beth (2010) “Archaic Period.” The Encyclopedia of Arkansas History & Culture, on-line edition. 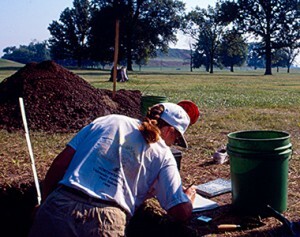 Trubitt, Mary Beth (2009) “Investigating Middle Archaic at the Jones Mill Site.” The Arkansas Archeologist (Bulletin of the Arkansas Archeological Society) 48:71-84. Trubitt, Mary Beth (2005) “Mapping a Novaculite Quarry in Hot Springs National Park.” Caddoan Archeology Journal 14:17-33. Trubitt, Mary Beth, Thomas Green, and Ann Early (2004) “A Research Design for Investigating Novaculite Quarry Sites in the Ouachita Mountains.” The Arkansas Archeologist (Bulletin of the Arkansas Archeological Society) 43:17-62. Trubitt, Mary Beth (2017) Effigy Pottery in the Joint Educational Consortium’s Hodges Collection. Caddo Archeology Journal 27:51-93. Trubitt, Mary Beth, Leslie L. Bush, Lucretia S. Kelly, and Katie Leslie (2016) Ouachita Mountains Foodways: Preliminary Results from 2013-2014 Excavations at 3MN298. Caddo Archeology Journal 26:50-79. Trubitt, Mary Beth and Katie Leslie (2016) “2013-2014 Society Training Program Excavations: The Dates.” Field Notes (Newsletter of the Arkansas Archeological Society) 390:6-14. Trubitt, Mary Beth and Linda Evans (2015) “Revisiting a Historic Manuscript: Vere Huddleston’s Report on East Place (3CL21) Excavations.” Caddo Archeology Journal 25:73-144. Girard, Jeffrey S., Timothy K. Perttula, and Mary Beth Trubitt (2014) Caddo Connections: Cultural Interactions within and beyond the Caddo World. Rowman & Littlefield, Lanham, Maryland. Hanvey, Vanessa N. (2014) Predictive Modeling of a Caddo Structure in the Ouachita Mountains, Montgomery County, Arkansas. Caddo Archeology Journal 24:43-52. Trubitt, Mary Beth, Meeks Etchieson, and Leslie L. Bush (2014) First Results from 3MN298: The Caddo Community. Field Notes (Newsletter of the Arkansas Archeological Society) 377:10-14. Trubitt, Mary Beth (2012) “A Fresh Look at the Hedges Site.” Field Notes (Newsletter of the Arkansas Archeological Society) 367:8-12. Trubitt, Mary Beth (2012) “Caddo in the Saline River Valley of Arkansas: The Borderlands Project and the Hughes Site.” In The Archaeology of the Caddo, edited by T. K. Perttula and C. P. Walker, pp. 288-312. University of Nebraska Press, Lincoln. Perttula, Timothy K., Mary Beth Trubitt, and Jeffrey S. Girard (2011) “The Use of Shell-Tempered Pottery in the Caddo Area of the Southeastern United States.” Southeastern Archaeology 30(2):242-267. Trubitt, Mary Beth (2010) “Two Shell Gorgets from Southwest Arkansas.” Caddo Archeology Journal 20:129-137. Trubitt, Mary Beth (2009) “Burning and Burying Buildings: Exploring Variation in Caddo Architecture in Southwest Arkansas.” Southeastern Archaeology 28(2):233-247. Trubitt, Mary Beth, Timothy K. Perttula, and Robert Z. Selden Jr. (2016) Identifying Ceramic Exchange and Interaction between Cahokia and the Caddo Area. In Research, Preservation, Communication: Honoring Thomas J. Green on His Retirement from the Arkansas Archeological Survey, edited by M. B. Trubitt, pp. 87-102. Research Series No. 67, Arkansas Archeological Survey, Fayetteville. Trubitt, Mary Beth and Lucretia Kelly (2012) “Cahokia Palisade Project: Faunal Analysis from Selected Features.” Illinois Antiquity 47(4):3-11. Trubitt, Mary Beth (2009) “The Origin, Organization, and Demise of Midwest Chiefdoms.” In Archaeology in America: An Encyclopedia, Vol. 2, Midwest and Great Plains/Rocky Mountains, edited by F. P. McManamon, pp. 43-45. Greenwood Press, Westport, Connecticut. Moore, Michael C., Emanuel Breitburg, Kevin E. Smith, and Mary Beth Trubitt (2006) “One Hundred Years of Archaeology at Gordontown: A Fortified Mississippian Town in Middle Tennessee.” Southeastern Archaeology 25(1):89-109. Trubitt, Mary Beth (2005) “Crafting Marine Shell Prestige Goods at Cahokia.” North American Archaeologist 26(3):249-266. Trubitt, Mary Beth D. (2003) “Mississippian Period Warfare and Palisade Construction at Cahokia.” In Theory, Method, and Practice in Modern Archaeology, edited by R. J. Jeske and D. K. Charles, pp. 149-162. Praeger, Westport, Connecticut. Trubitt, Mary Beth D. (2003) “The Production and Exchange of Marine Shell Prestige Goods.” Journal of Archaeological Research 11(3):243-277. Trubitt, Mary Beth D. (2000) “Mound Building and Prestige Goods Exchange: Changing Strategies in the Cahokia Chiefdom.” American Antiquity 65(4):669-690.